As the interest in crypto assets and blockchain startups has skyrocketed, the scepticism around Initial Coin Offerings (ICOs) has increased at the same rate. Both scammers and inexperienced teams without anything but an idea treat ICOs as nothing more than a shortcut to easy money. This negative hype has created significant trust issues for legitimate businesses, for which ICO is a logical next step of their development. Today, we would like to explain why we decided to hold token sale despite the ambiguous attitude to ICOs. Unlike many blockchain startups that were created just to hold an ICO as fast as possible, BlockMesh has been continuously developing its business. We started in 2015 when our founder and CEO Bjorn Dingemans decided to employ mesh networking technology to provide internet solutions at cost-effective prices. The first pilot of the network was launched that year at Stellenbosch University in South Africa for the residents and visiting students. Over 30 000 potential users put the platform to the test. In 2016, BlockMesh investigated the concept of rewarding users with cryptocurrency as an incentive to grow the network adoption rate and scale. Later that year, the team envisioned a hybrid version of the mesh network that utilizes blockchain technology. The very concept of BlockMesh is built on tokens. Our goal is to provide cost-free communication with the primary focus on those that struggle with high cellular and data costs, as well as the unbanked in Africa. To achieve it, we are creating a network where users and earn rewards (MESH tokens) for supporting the network’s stability and range; MESH can be then used to purchase regular mobile data or for peer to peer transactions (you can learn more about the concept of BlockMesh in our whitepaper). Creating a reward token is the only natural next step to kick off the adoption and growth of our network. That said, a cryptocurrency is only valuable if accepted in the real world. During 2017, we approached large retailers and corporations to partner with BlockMesh, thus enabling faster adoption and growth of the network through other means. We are proud to be a Bancor network member, and we will be announcing more partnership deals closer to the ICO date. During BlockMesh ICO, which will take place on February 28, only 10% of MESH tokens will be distributed. The funds we will raise will be used for large-scale deployment of network hubs to support our platform initially. Mesh networking uses existing phones, so no further infrastructure (e.g. cell towers or satellites) is required. To us, more important is to get as many people as possible to learn about MESH and to build trust in it. Thus, our tokens will also be listed on exchanges for cross-platform trading to bring more interest to the platform and give MESH more credibility as a payment method for transacting inside the network. Taking all the specifics of BlockMesh roadmap, holding an ICO turns our to be the only way to raise funds, required to scale the network, and kickstart the adoption of MESH token simultaneously. As a bonus, any company holding a token sale goes through extra scrutiny from individual investors, media, and future users We welcome this attention and see it as an additional way to build trust in BlockMesh. Visit https://blockmesh.io to meet our team, learn more about our vision and technology and join our upcoming ICO. 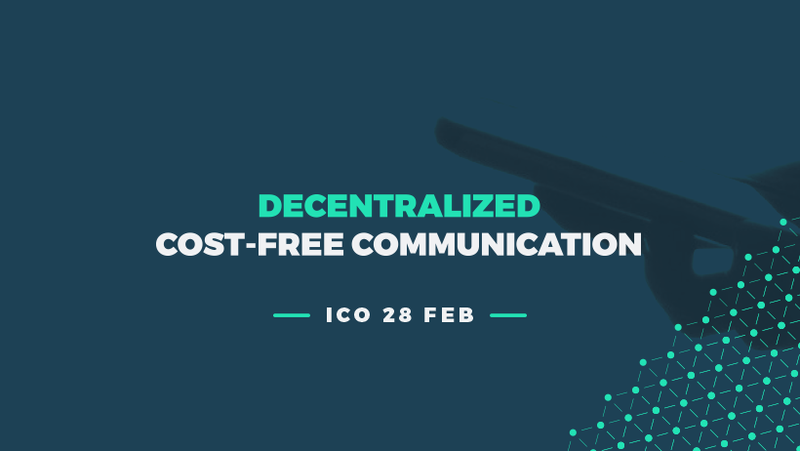 We are truly happy to invite all of you to our extraordinary journey to cost-free communication!